After several years of consideration, the U.S. Congress has finally passed legislation that will create a federal statute for the protection of trade secrets, entitled the Defend Trade Secrets Act (“DTSA”). The DTSA had strong bipartisan support, passing in the Senate by a vote of 87-0 (on April 4) and passing by a vote of 410-2 in the House of Representatives (on April 27). President Obama has previously indicated that he will sign the legislation into law and that action is expected to occur soon. With its enactment, the DTSA will represent the first federal law protecting companies’ trade secrets. Prior to the enactment of this law, businesses have obtained protection of their trade secrets on a state-by-state basis under state statutes. Forty-eight states have adopted a version of the Uniform Trade Secrets Act (“UTSA”), including Minnesota. Although there is significant similarity between most states’ version of the UTSA, some differences do exist and, perhaps more importantly, the courts in some states are more receptive to claims under that statute than courts in other states. The DTSA will not preempt (supplant and replace) state law and claims now will exist under both federal law and state law for the misappropriation of trade secrets (except for New York and Massachusetts, the only two UTSA hold-outs). Trade secrets have generally been recognized under existing law as including confidential and valuable information regarding a company’s products or services, business operations, financial and pricing information, and sometimes sensitive customer-related information. Protected information includes formulas, patterns, compilations, programs, devices, methods, techniques, and/or processes. The definition of protectable trade secrets under the new federal statute does not deviate in any significant way from the long-standing definition set out in the Minnesota Trade Secret Statute and similarly set out in other states’ versions of the UTSA. Whether any particular information in fact constitutes a legally protectable trade secret is often the focal point of lawsuits alleging the misappropriation of trade secrets, with a key consideration being whether the information is truly confidential. What Was The Need For A Federal Law? A major concern behind the adoption of the DTSA was a desire by Congress to protect the trade secrets of American companies from misappropriation by Chinese companies and from cyber-hackers. Curiously, the new statute as enacted does not expressly address those threats. Another significant aspect of the DTSA is its authorization of seizure orders, beyond the possible injunctive relief available under the UTSA. Specifically, the DTSA includes a provision allowing, under certain circumstances, a suing party to obtain an ex parte order (order without advance notice to and argument by the other side) from a court authorizing the civil seizure of property wrongfully possessed by the party accused of misappropriating trade secrets. This provision, requiring fairly extraordinary proof, is intended to apply in very rare circumstances where the more conventional approach of seeking an injunction from a court may create significant risk for dissemination of the trade secrets. It may take quite some time for the law to evolve and for organizations to learn how likely courts will be to allow the use of this new remedy. Injunctions are also available under the DTSA, as is the case with the UTSA, but in the DTSA Congress expressed the clear intention that injunctions under the new law are not intended to be available as “backdoor” non-compete agreements. Congress was particularly mindful of the fact that not all states enforce non-compete agreements fully, with some states broadly prohibiting them. Other remedies that may be available under both the DTSA and the UTSA include: 1) monetary damages caused by the misappropriation; 2) exemplary (punitive damages); and 3) an award of attorneys’ fees. What Should Companies Do Differently Now? The DTSA requires, for companies seeking the full benefits of the new law (including the possibility of exemplary (punitive) damages and the possible recovery of attorneys’ fees), that certain new notice must be provided to employees. Specifically, all employee agreements setting out any obligations or restrictions regarding trade secrets or confidential information must provide notice to the employees of the immunity provision in the DTSA relating to lawful disclosures under the Act to a government official or attorney for the purpose of reporting possible violations of law. 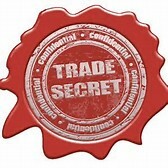 It remains extremely important for businesses, just as it was under state law, to: 1) specifically and meaningfully identify your trade secrets; and 2) take significant and concrete steps to protect that information, including but not limited to labeling of trade secrets and limitation of access to that information.